It’s that day again! The early morning broken only by the sound of silence, the Nintendo DS being a particularly effective ‘OFF’ switch for the volume control of small children. So at 08:00 hours we were wondering, laying in bed, and contemplating the day ahead. We’d got a frozen Turkey, and I don’t mean a forum member realising they’ve just made a spectacularly daft posting regarding Hornby’s 2009 releases, but a chicken type thing. B/ Filling the kitchin with the smell of burnt plastic, offal and, when I realised what I’d done, brown adrenaline. Anyway back to the bedroom, and the ‘mission planning’ not forgetting ‘basting the Turkey’, for the day ahead. Times, ETA’s all under review, and Mrs NM lets slip that the packaging, including the weight of said bird, (Turkey not Mrs NM) is in the bin. So a short sharp ‘discussion’ takes place, where Mrs NM mentions that not all of her skills are appreciated or used. Fine I says, perhaps you’d like to dust off the old ‘skip surfing’ skills then? The packaging now having lived at the bottom of a wheely bin for 24 hours, with assorted offal and all manner of household shite half a week old. Unsurprisingly she declined. So we had a bird of unknown weight, well one, the other was keeping quiet, that we had to determine the weight of to cook. Not having kitchen scales up to the task a science lesson that ‘The Berg’ would have been proud of ensued. Turkey was placed on a piece of wood balanced see-saw style over a rolling pin. Small children were despatched to all corners of the kitchen to find items of ‘known’ weight. Unfortunately the rabbit (as in rabbit), was rejected due to the actual weight of the rabbit being unknown. I personally think the rabbits weight is known, its just it’s a female so even if it told us, odds are, it’d be lying. Once said items were balanced on the other end and equilibrium had been achieved the Turkey was cuffed, stuffed and sorted. Just before christmas I went to London for a few ‘sharpeners’. As usual it was a good night, and resulted in a wallet litening by Calumet. I was thinking about the New Canon G10 compact, and after passing by Tottingham Court Road, Hammy dragged me up a small back passage way in Soho. There a bloke made me an offer I couldn’t refuse, and sweaty palmed I emerged from his premises with it wrapped in a black plastic bag. I wish I’d been able to get it out later on, as whilst downing a pint at the Lamb and Flag, we watched a young lady try to get out of a building, a Stage and Theatrical agents no less. Needless to say the full length glass door wouldn’t open, and she was trying to get our attention to help. We ‘helped‘ by shouting ‘Is it a film?’ as she mimed pressing a door bell next to us. ‘The great escape?’, ‘Escape from Alcatraz?’, ‘Midnight Express?’ fortunately before she started swearing too loudly a ‘Luvvie’ came to her rescue and released her into the wild’s of Londons west end. Following on from my last post, we did indeed get a free bird. And a mature one at that. Henry the ‘northun git’ parrot appeared one afternoon on the Ivy on the wall of the garden. In the way of such things it was at about 4:30pm on a Friday. 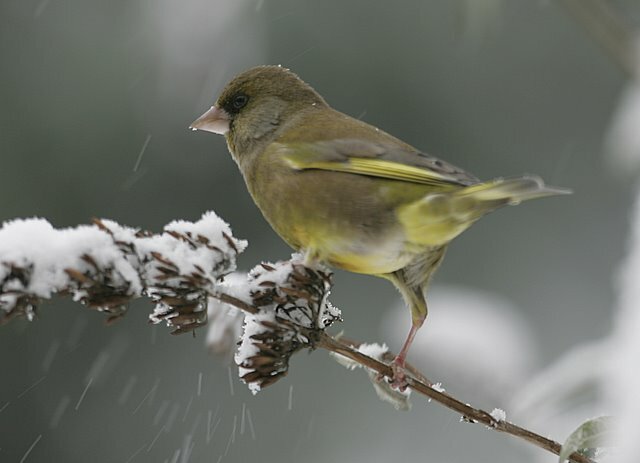 He was quite happy just sitting on the ivy whilst assorted small garden and woodland birds were crapping themselves, thinking ‘what the #### is that!’ as they flew up and down the length of the garden wall. Knowing that an inland frost was forecast for that eve, (please someone from the met office show me an off-shore one …), I decided I would try and get some assistance for it. Local vets were closed, RSPB weren’t answering, so I tried the RSPCA. Having negotiated their call filtering system I managed to speak to a bloke who took all the details, injured, description, size, etc and that was that. They would have been more interested it seemed if it were a young bird, rather than mature. Clearly setting standards high so early in the weekend, no doubt if a young bird had not been caught on the Friday night and if having joined their local Tennants Association, (see worst enemy post), if it were still looking grim by 11:00pm Saturday night the mature bird option may suddenly become more interesting. By this time Mrs Norvenmunky had come home, and her being her, dived into the ivy, and t’parrot happily walked up her arm and sat on her head. So still having the bird in the bush (so to speak) the local feds were contacted, on account of Mrs Nm knowing that they had a bit of a thing for animals, including, and this isn’t a cheap joke, a pet pig. The Sherriff suggested we contact Mrs X, who had lost a parrot, so Mrs Nm went off to get her, and the childminder who had a large cage, for Chinchillas, not children, agreed to lend it to us for our ‘guest’. Meanwhilst, t’parrot, now in the conservatory, and happily trashing the joint, they are destructive bastards, they really are, had started to talk. 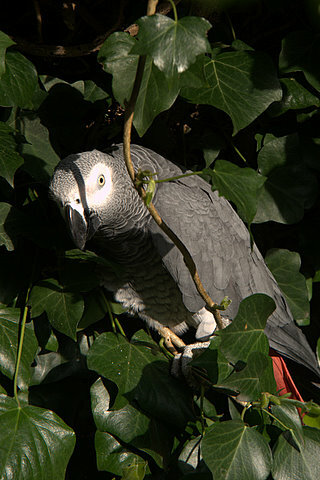 A quick check on tinterweb had id’ed said parrot as an African Grey, about a thousand quids worth! t’parrot was now talking in a quite distinct Yorkshire/Gratuitous comedy ‘northerner’ accent. So he wasn’t ‘local’. Mrs Nm now had returned with Mrs X who immediately declared parrot as ‘hers’. Bollox is it, I thought. Now t’parrot had a red ring (round his leg that is, nothing to do with his diet), so I asked Mrs X what the number was on her ring, well on her birds, it wasn’t like I was expecting her to have a tatoo or anything, and she didn’t know the number. So when did you lose the bird? Ooh ages ago, (long enough to have sold her cage), yes but how long ago? ‘ooh dont know can’t remember’. So you lose a thousand beer tokens worth of parrot and you don’t know when… Ooh he’s grown a bit since I lost him too! So you lose an exotic bird ages ago, in a non natural habitat, and when he appears he’s fatter, bigger and healthier than when you last saw him, thats normally the case isn’t it?, Oh and he swears a lot too. Well Henry, hadn’t been swearing, though truth be known he had plenty of reason to have been swearing. Having been ‘lost’, found (captured), and now having some mad, fag smoking, Ferrari red haired harridan blowing kisses at him, and not calling him by his name, must have grated just a little. I politely suggested the ‘lady’ was ‘probably mistaken’, Mrs Nm bundled said biddy back into the car and got rid of her. Not ‘wet work’ tempting though that was to suggest, but just back to her drum. Having realised that Henry was in fact quite a clever sort of bird, and was possibly going to be around a while, I thought that the least I could do for his real owners was to teach him a new tune to whistle. So I chose the Italian national anthem. That’ll teach them. I asked Mr Shopkeeper he had any parrot food, and he asked why did I have a parrot? For once, the reflex didn’t kick in, and I assured him that yes indeed, I was the temporary, (probably), keeper of an African Grey, as of the previous evening. Ah I know someone who’s lost one he said, yep so do I, I said. Oh no not her he said, this lady, and gave me a phone number.